It's NFL Draft time...and reality looms for Colts fans. 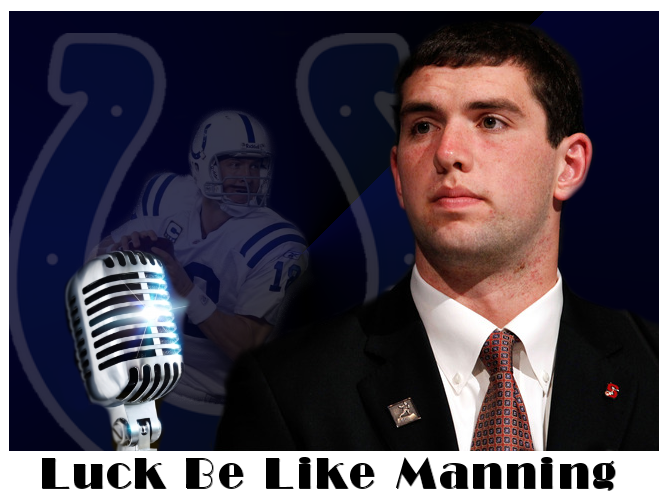 Peyton Manning is out...he's not coming back, folks...and we have to embrace Andrew Luck, the Stanford standout NFL franchises are willing to mortgage their futures for. Let's welcome him to Indianapolis...Frank Sinatra-style.